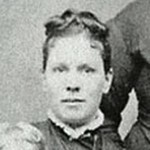 As I continue to read about my Great Great Aunt Tessie, Teresa Elizabeth Spencer Davis, I continue to be amazed at the kind of people she and her husband, William Jonathan Davis were. They raised nine children, losing a set of twins at birth, which would have made eleven children. 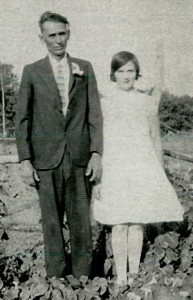 Aunt Tessie would go on to outlive seven of her eleven children, passing away on April 21, 1944 at the age of 79 years. Her husband, William, who had been raised on the high seas, after losing both of his parents by the time he was seven, and then his Uncle Walter stepped up to raise him and his brother on his merchant ship, passed away on August 11, 1925 at the age of 69 years, having been proceeded in death by five of his children. 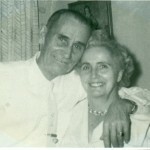 In life they were a well known and much respected couple in the community of Rushville, Nebraska. One of their prized possessions was a genuine Surrey with the fringe around the top, and a driving team of high spirited Sorrel horses. They were active in the community literary, debates, Sunday School, picnics, and Fourth of July celebrations at Palmer’s Grove. They were members of modern woodman and royal neighbors. 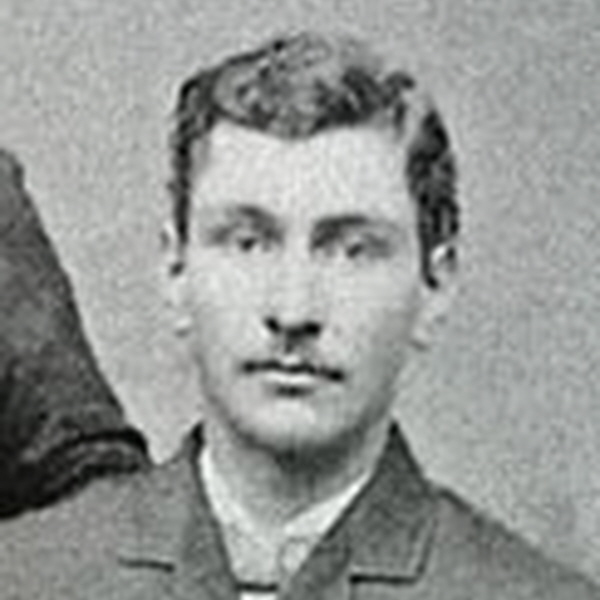 William served on school and election boards, was elected Justice of the Peace, performed a marriage ceremony, and helped bury several people, acting as both mortician and preacher, He was supervisor of the Magnesium Road built north of the Colclessor Bridge. 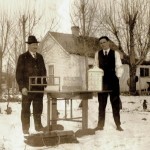 They were often called to neighbors homes in times of sickness and emergencies. The young son of Emile Sandoz, called them when his father was shot. William gave first aid until the doctor arrived, then formed a posse to help run down the killer. People traveling by team and wagon from the South Sandhills spent many nights in their home and were always welcome. They also allowed many peddlers to stay at their home, and the peddlers always left a gift as a token of their appreciation. They were all gifted musicians. Aunt Tessie played the organ and sang beautifully. The children played the organ, violin, accordion, mouth harp, horns, and drums. In fact, they formed an orchestra and played at dances all over the area. They even had an organ that could be folded up like a valise in the back of a buggy. They often traveled miles to play all night until dawn. I don’t know about you, but their life wears me out, just thinking about it, much less living it, but to them, it just seemed like the normal way to live. Kids have always tried to use things around them as props in their games. Things like boxes, barrels, and even a little taller hill become the prop of the day. When I saw this picture of Bob’s brother, Ron, his cousins, Danny and Sandy, and a neighbor girl playing on four oil drums, all I could think was “Roll out the barrel, and we’ll have a barrel of fun.” Of course, that is the “Beer Barrel Polka” song, which was composed by the Czechoslovakian musician Jaromír Vejvoda in 1927, and really had nothing to do with a child’s game at all, but the words seemed so fitting in the case of the game the kids were obviously playing. The barrels must have either had something in them, or been pretty heavy in their own right, because it doesn’t appear that they wanted to roll around on the kids. Still, in my imagination, I could see them racing down the driveway to see who would get to the finish line first. 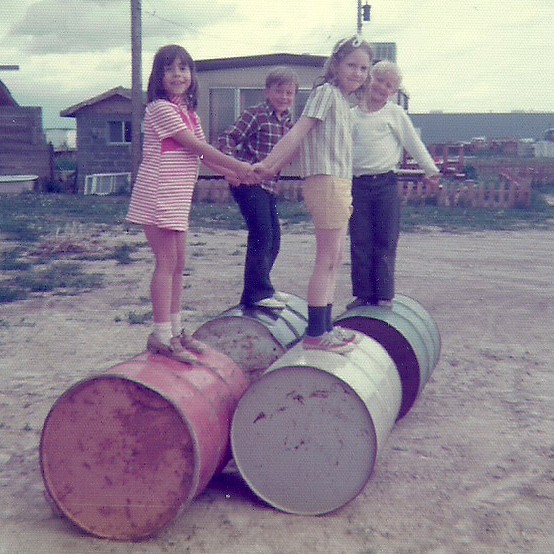 It doesn’t really matter what they were doing with the barrels, because it is obvious that they thought being up on them was great fun. If they looked back now, they would probably wonder how such an inanimate object, with no moving parts and no flashing lights, could possibly have held their interest, but you must understand that their childhood was a time of no computers, cell phones, or video games…at least for a few more years, so they used their imaginations to have fun. The same applies to the game “King of the Hill”, which was of course to see who could dominate the hill and keep everyone else from being able to get up it. 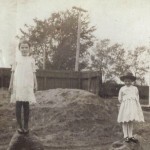 Of course, I don’t think that is exactly what my Aunt Laura and her friend were playing either, but it did, nevertheless appear that Aunt Laura had managed to acquire the taller of the two little hills, thus making her the King…so to speak. Whatever the game was that the girls were playing, the two little hills figured into it enough to make my grandmother want to take their picture as a memory of the occasion. Here again, the girls had used the things available to them to make for a day of fun. Kids used to be able to do that. Without video games and texting, and with parents who didn’t let them watch television all day, or without television at all, the imagination was the way to have fun. It really seems to be a lost art today. Kids don’t used their imaginations much these days, because all the stuff in their head is fed in electronically. That’s really quite sad, when you think about it. 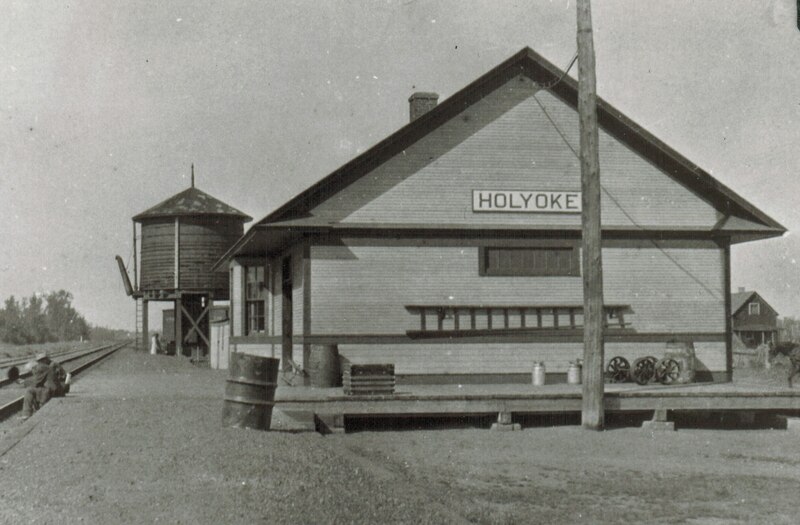 My dad’s family spent quite a few years living in the small town of Holyoke, Minnesota. 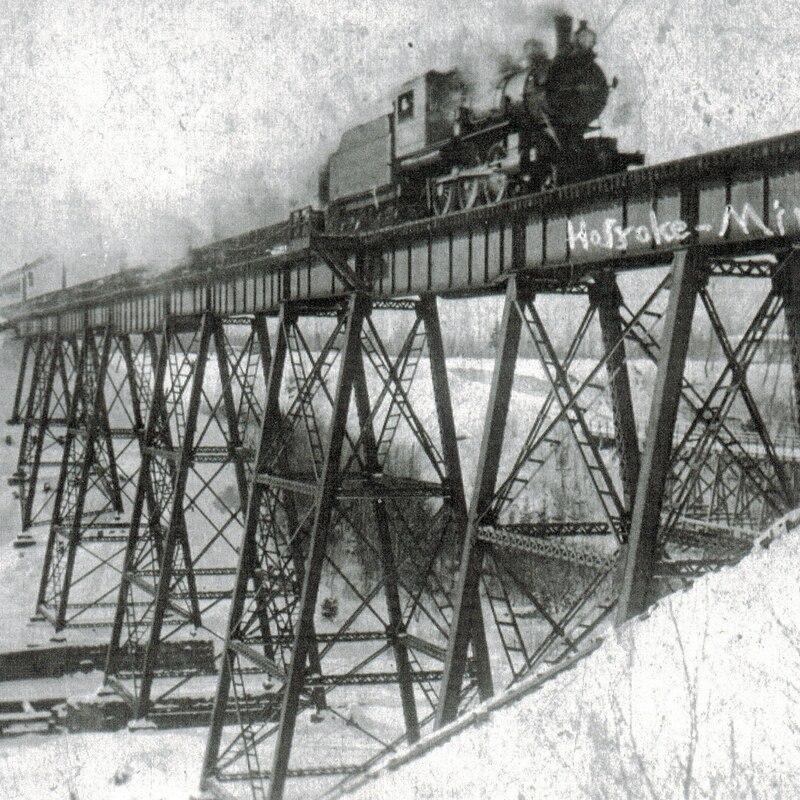 The area is wooded and very beautiful, with the train tracks bordering the edge of town. As boys, my dad and my Uncle Bill were always fascinated by the trains. I think that is probably very normal for all boys, and especially this living in a small town. The trains become the highlight of the day. My husband, Bob loved to go out and count the cars on the train when his family was living in the small town of Point of Rocks, Wyoming. I’m sure Dad and Uncle Bill did the same thing. They knew the trains like a lot of guys know cars. 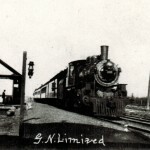 Uncle Bill tells us in his family history that the first train is an early 1900’s 1500 Series Locomotive, and the second one is a 1910 1200 Series Locomotive that was used on passenger trains. I can imagine that they spent as much time talking to the employees of the railway as they did looking at the trains. Their curiosity was peeked and they wanted to know everything about those trains. Their dad worked for the Great Northern Railway too, so they were allowed to ride the trains to get to and from school…so any stories about how they walked 10 miles, in the snow, and it was uphill both ways, are probably a little bit of a stretch. Uncle Bill actually got a job with the railroad one time but he didn’t keep it very long. He thought it was pretty boring work, and since I have had a few boring jobs myself, I can empathize with his thoughts on the matter. Maybe, if he had been doing work that was similar to what his dad did, he would have liked it better. 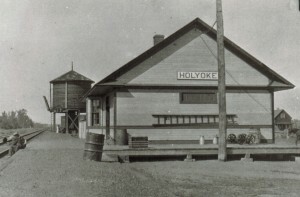 While railroad work was not what they wanted to do, that did not dim their interest in the trains, but then, what else was there for two young boys to do in the small town of Holyoke, Minnesota. I never thought of them as small town boys, but maybe they were. 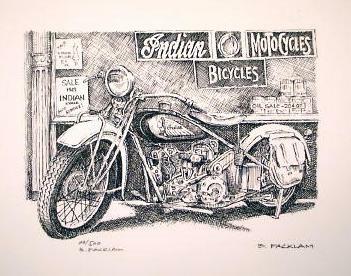 The Indian motorcycle came into being in 1901, and is noted as the first motorcycle in the United States. My grandfather, Allen Luther Spencer owned one, which he dubbed That Old Indian Motorcycle in the very early 1900’s. He decided to ride the motorcycle from Ladysmith, Wisconsin to Rushville, Nebraska to meet and visit his Aunt Tessie Spencer Davis. Because gas stations were few and far between, he would have to carry gas with him. Even then, there were times he ended up pushing the motorcycle to the next gas station, such as the point in South Dakota where he pushed it for quite a few miles after running it out of gas. My Uncle Bill tells of a point in Nebraska, where his dad ran into a bunch of Indians, who invited him to supper. He wasn’t sure how the Indians felt about the white man at that point, so wanting to make sure he didn’t offend them, he accepted their offer. There were about a dozen Indians, with several horses and a bunch of dogs there. Indians had always had a bunch of dogs around, because they are a kind of self storing, self perpetuating food supply. The Indians picked out a rather plump dog, killed it and made a stew. Now, I don’t know about you, but my mother always told me that when you are invited for a meal, you eat what is put in front of you. I know that a lot of people have eaten things like snake or rabbit, and been told that it tasted just like chicken. I’ve eaten rabbit, and I do not agree. There is no similarity as far as I’m concerned. I have never eaten horse or dog meat, and I think I would have to be just about starving to death before I would consent to eat it…sorry Mom. Nevertheless, my grandfather had no desire to offend those Indians, so he ate the bowl of stew offered. After that, they offered him a second, third, and finally a fourth bowl. He pretended the stew was very good, while secretly praying they would not offer a fifth bowl. He really didn’t want to offend the men who far outnumbered him, and there was nowhere he could turn for help. Finally, they could tell that he was either very full, or maybe even a little green around the gills, so they decided that supper was over and after talking a while, they set up some tents and settled in for the night. Grandpa moved his motorcycle a little way away from their camp, and tried not to fall asleep, wanting to keep his scalp, and not knowing if they still scalped people or not. He finally fell asleep, in spite of his efforts not to, and in the morning the Indians were gone. The rest of the trip was completed without further incident, and he made it to Aunt Tessie’s house, scaring her and her 7 year old daughter Ruth, when he came down the road as boldly as you please. They were the only ones home, and they lived many miles from the nearest neighbor. After dismounting the motorcycle, he walked up to her front door, and when she answered, he said, “Aunt Tessie, I’m your nephew, Allen Spencer, from Wisconsin.” It was an unusual way to meet her nephew, and it might have helped if he had sent her a letter telling her he was coming, but they quickly got to know each other, and he spent several months with the family before heading back to Wisconsin. I would imagine it was a visit that Aunt Tessie never forgot. Not every life is of a common type. Once in a while, circumstances come about that create a living situation or way of life that is very different, and for most of us, one that seems exotic in many ways. Such is the case my Great Great Uncle William Jonathan Davis, who married my Great Great Aunt Theresa Elizabeth Spencer on September 29, 1883 in Webster City, Iowa. Their married life was of the much more normal type. 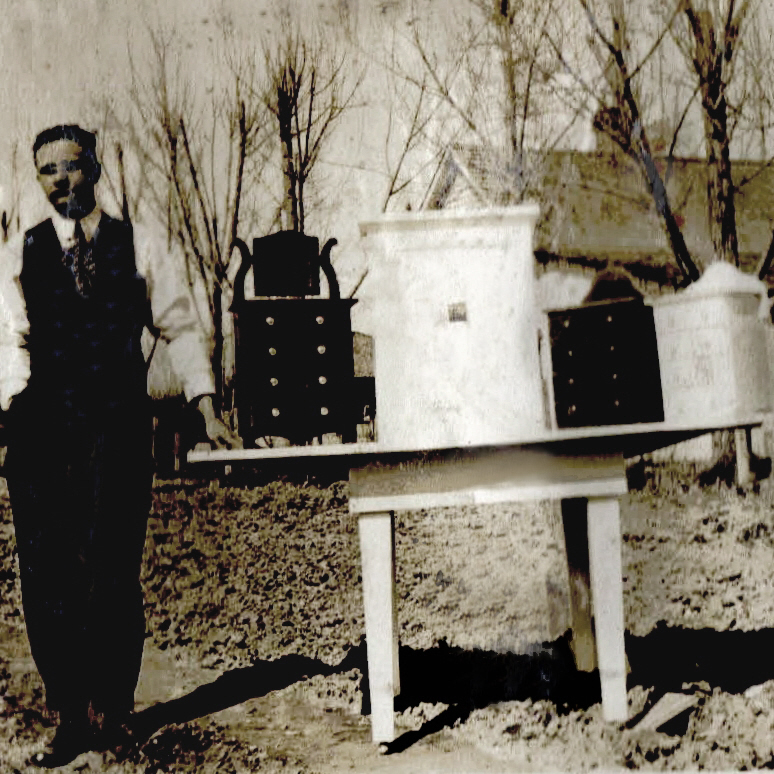 They lived several places, finally settling on a ranch near Rushville, Nebraska, where they raised their nine children. That kind of life seems very normal, and it was, but William’s childhood was far from what most of us would consider normal. 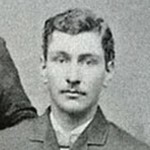 William Jonathan Davis was born on June 5, 1856 in Llanduno, Wales. 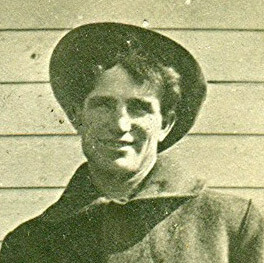 His mother Catherine Aldrich Davis died when he was two weeks old. I’m sure that over the years he felt a bit of sadness over the loss of the mother he never knew, but not as much as his older brother Charles Henry, who was a year or so older than William. When William was seven years old, his father William Jonathan Davis Sr also passed away, leaving the two boys orphaned. Thankfully they had an uncle, Walter Davis who owned a fleet of merchant ships. He took the two boys with him on a freighter and their home was the high seas for the next eleven years. Now to a couple of little boys, I’m sure the high seas felt like quite an adventure, and life on a ship probably kept their imaginations working overtime, thus alleviating at least some of the sadness over their father’s death, by keeping them very busy. My guess is that over time, they became some of the best deck hands their Uncle Walter ever had, and they loved him dearly…so much so, in fact that William named his first son, Walter, after the uncle who saved their lives, and gave them hope for the future again. In 1874, his uncle’s ship was delivering cargo to New York City, and Charles and William decided that it was time for them to go out on their own. After saying good bye to their uncle, the boys stayed in New York City, and then in 1875 moved to Chicago, Illinois. William got a job with the North-Western Railway Company, and was later transferred to Kamrar, Iowa as the Section Boss. It was there that he would meet the love of his life, my Great Great Aunt Theresa, or Tessie as she was lovingly nicknamed. The rest, as they say is history, as they lived happily ever after. Quite a change of lifestyle for a boy raised on the high seas. 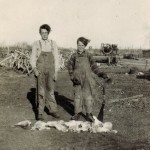 As young men, my dad and his brother, my Uncle Bill loved to do all the normal guy thins that most young men want to do, and hunting was right up there near the top, along with fishing, and pretty much anything that had to do with guns or dynamite, such as blowing a tree stump out of the ground, or sinking the front gate, and then fixing it before their mom found out. They were rough and rugged boys who, like most young men of those times, were growing up too fast. Times were hard, and families needed all the help they could get from all their children. Hunting was something families could do to supply food for their tables, and rabbits were always in abundance…then and now. Of course, for my dad and uncle, the guns were a cool as the hunting. They both loved guns and knew how to use them from the time they were little. 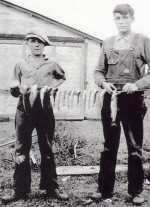 Uncle Bill was hunting this particular day with a Mossberg, and my dad was using a 1906 Winchester. Like most boys, they had high hopes for their hunts. They were going to bag that big buck, or the most rabbits, or even bring in the most fish. I’m sure they competed against each other, but I think that quite often, they pooled their resources and tried to beat the record they set the last time they went. Of course, nothing went to waste either, because that was not how things were done. 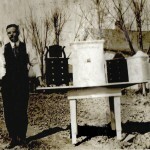 The kills they made provided food for their family during those hard times of the great depression. Though times were tough, I don’t really think my dad or his brother noticed it much, nor did their sisters really. Sure, they knew times were tough, and that everyone had to help out, but it was simply a way of life, and nothing they thought was so special. I guess that is pretty common with most people who aspire to do great things, whether it be heroic acts, service to country, or stepping up for family. Heroes come in all kinds of forms, and I’m sure that my dad’s family thought of their kids as heroes for all the help they gave them through the years. Christmas has become so commercialized that we stress for weeks and even months over what gift to buy this one or that one, not to mention all the planning for dinner and places we need to go. Christmas wasn’t always this commercialized, but it still could have been pretty stressful in days gone by. People didn’t necessarily run out and crazily shop all over town, but if money was tight, they tried their best to figure out a way to give a gift of some kind. Even if money was not tight, some people came up with ideas all year long…because some gifts take a little bit of time. Those are the homemade gifts, and usually some of the most awesome gifts a person will ever get. Some people think that a gift that is homemade isn’t as good as a gift that is store bought, but I say they are very wrong. 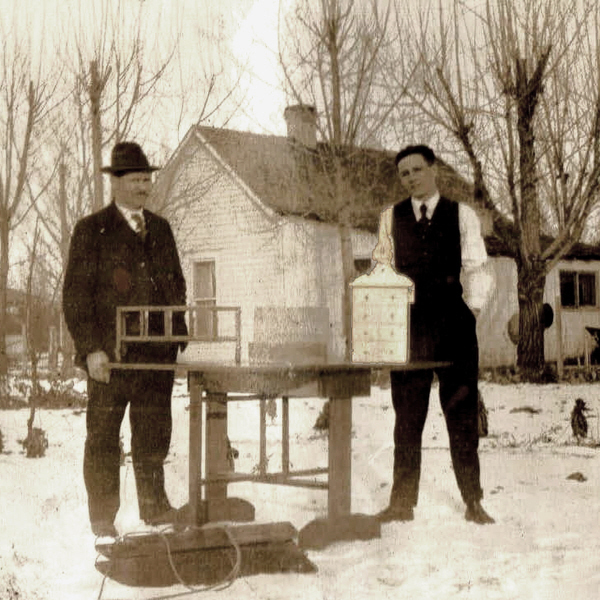 When my Great Uncle Dennis Dunahee, who always went by Burt, and his son, my cousin Raymon, decided to make Christmas gifts, they did it in grand style. The gifts they made reminded me of the kind of gifts you might see the people on “Little House on the Prairie” and “The Waltons” make. Were the Dunahee gifts homemade with love…absolutely!! Were they stunning…absolutely!! It occurs to me that there are a number of carpenters in the Spencer family who are capable of making beautiful furniture. It’s strange the things you never knew about your family. It turns out that one of this family’s best kept secrets is something quite beautiful indeed. Christmas in times past was not only less focused on time spent in the mall, it was more focused on the true meaning of Christmas. It’s not that we don’t think about the real meaning of Christmas in today’s world, because we do, but sometimes it is easier to get distracted, by the rush to get our shopping done, gifts wrapped, and dinner planned. By the time the day arrives, we can easily be too exhausted to give thought to what this day is all about…the birth of our Saviour!! The reason we give gifts is to remind us of the greatest gift ever given, but in all our giving, we need to remember that the greatest gift ever given…Jesus, is far more important on this day that the gifts we give and receive. Today, I wish all of you a very Merry Christmas, and I pray that you take time to be thankful to God for the gift of His precious Son…Jesus!! Most people think of Christmas Eve as just a precurser to Christmas Day, and it is, but for some people it is a little bit more than that. My Grandma and Grandpa Byer have made that an extra special kind of day for the Byer family. Christmas Eve was their wedding day…in 1927. To our family that day marks the day when most of us began the long road to our very existence. My grandparents became the parents of nine children over the years, thereby bringing about thirty one grandchildren, and countless great grandchildren, great great grandchildren, and great great great grandchildren. My grandfather used to remark, “Mommy, look what we started.” Did they ever!! They were married 53 years before Grandpa went home to be with the Lord. Grandma would follow him just 8 short years later, but their love has never passed away. 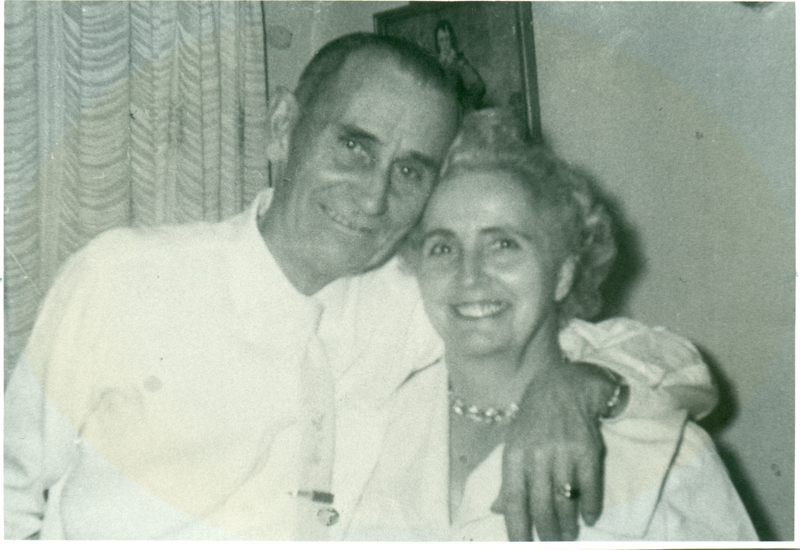 This year, as I contemplate the love they had for each other, and the massive family they created, it occurs to me that this would have been their 86th wedding anniversary. No, they did not live to see that day…not many people do, but if they were still alive…they would have still been together…of that there is no doubt. Many people might not think Christmas Eve is such a great day for a wedding, what with the holiday and all, but many years ago, that was considered a good time for a wedding, because the family was already gathered for the holiday, and famiy from far away usually couldn’t make it such a log distance for a wedding anyway, so that didn’t matter. Weddings were much less elaborate then too, so they didn’t take as much planning. The couple usually wore their Sunday best clothes, and then went right back to wearing them for Sunday again. Nevertheless, the love was there, and that was what matters. Grandma and Grandpa were made for each other, and they were happy all the days of their lives. I’m sure Grandma never expected to be here without him, and I’m sure there were many lonely days after Grandpa’s passing, but she held his memory in her heart and carried on for another eight years. Being married on Christmas Eve is probably why Grandma and Grandpa Byer always considered Christmas Eve to be such a special holiday. They loved the family Christmas parties. They got to celebrate their Anniversary and Christmas with all, or at least most, of their kids, grandkids, and great grandkids. Many of the great great grandkids and great great great grandkids either don’t remember or never met Grandma and Grandpa Byer, and that thought makes me sad, because they have missed out on so much. While Christmas Eve is not a common day for a wedding, one couple in our family thought Grandma and Grandpa’s wedding date was so special, that they decided to marry that day too, so Happy 86th Anniversary to Grandma and Grandpa Byer, and Happy 19th Anniversary to Raylynn and Doug Williams too. Kids have always had a fascination with animals. Any animal will do, but pets don’t seem to fall into the same category as other animals. I suppose that the reason for that is that after a little bit of time with a pet, they become normal everyday parts of the family. It doesn’t mean the child doesn’t love the pet, because they do, but the pet is an animal they see everyday, often in the house, so it’s nothing special. Farm animals, on the other hand are something different. Here is an animal that isn’t a domesticated pet, and yet it isn’t afraid of people either. They understand that they need people to bring them their food and water, and they also understand that people aren’t usually scary. Yes, the animal could hurt a child, especially if it stepped on the child, but for the most part the animal is as curious about the child as the child is about the animal. As small children, my dad and his siblings lived on a farm, so being around farm animals was a part of life. Still, that did not stop the curiosity about those animals from forming in their minds. When they went out to play, a part of their time outside always seemed to be spent visiting the other residents of their home. They would trek out to the haystacks where the cows would be feeding, and watch those strong, yet gentle animals eat, while the cows watched these tiny versions of the people who cared for them watching them. Funny how we all teach our kids not to stare, but when put in a situation like this, all that rudeness doesn’t seem to matter. Both sides are staring anyway, and since it isn’t a person…it just doesn’t matter. I suppose in many ways the whole situation was a lot like the petting zoos that most city children have been to as their only real interaction with farm animals. When my girls were little, we too had a little place out in the country, and we raised a cow now and them. The girls were quite curious and really wanted to help with our cow. I had to be careful what they helped with, because when it came to grain…our cows always became pigs, and a tiny little girl could get trampled in the cows effort to get to what the cows considered candy. Most of the time the cows were a gentle as they could be, but the grain had to be given in a certain way, and very quickly, because they couldn’t wait to get to it. One cow we had named Rosie, due to her red color, was so excited that she was trying to follow me and still scratch her belly too. The end result was one good, but unintended kick to the back of my knee. It left a knot that stayed with me for the better part of 6 months. It was a good thing for Rosie that I liked her, and it wasn’t butchering time, or she would have been on our table in a matter of days. Hay was always a very different matter. 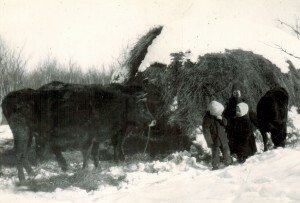 Little kids could be around cows eating hay, and there was not a dangerous rush to the food. I suppose that was the vegetables of the whole deal, and we all know how kids, which is what cows are a lot like when it comes to food, are with vegetables. The girls loved to help put the hay in the feeding troths for the cows, and then sit and watch them eat. I suppose it was an interesting sight. If you have never watched a cow eat, you might not know it, but they really are strange when they eat. 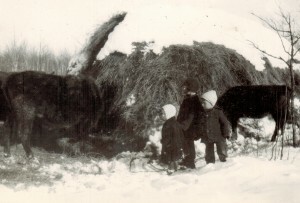 I suppose that is why Aunt Ruth, Uncle Bill, and my dad were just standing there, out by the haystack when they could have been playing in the snow, just watching the cows eat. I don’t know how much of the Spencer genes, my cousins Gene, his son Tim, and even his grandson Daniel think that they have, but it’s possible that it’s more than they realize. 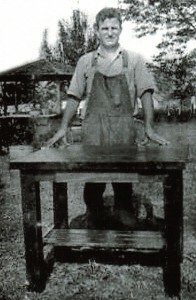 Gene was a master carpenter, building beautiful furniture that anyone would be proud to own. 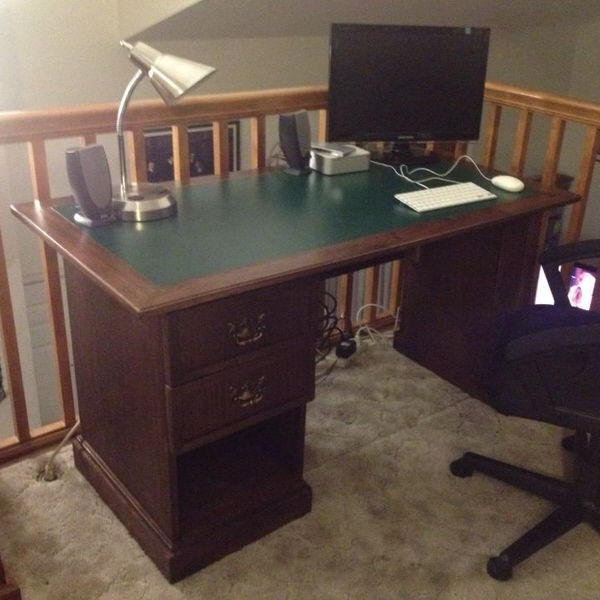 In fact when I looked at pictures of the furniture Gene made, I wondered if he missed his true calling in life. Oh don’t get me wrong, because he was very successful, but that furniture…well, STUNNING doesn’t say enough!! Gene’s work was beautiful, and he passed that talent down to his son. Tim recently built a desk that is also quite beautiful, and shows that he has his dad’s talent. Daniel, while still a very young man, shows signs if that same talent for building things too. Their talent is definitely amazing, but where did that talent come from. Well, I don’t know about the Fredrick side if their family, but our grandpa, Allen Luther Spencer had talent in that area too. I have never heard anyone talk about his abilities as a carpenter, and usually when we think of carpentry, we think more on the lines of building a house, but the finer side if carpentry is furniture making. 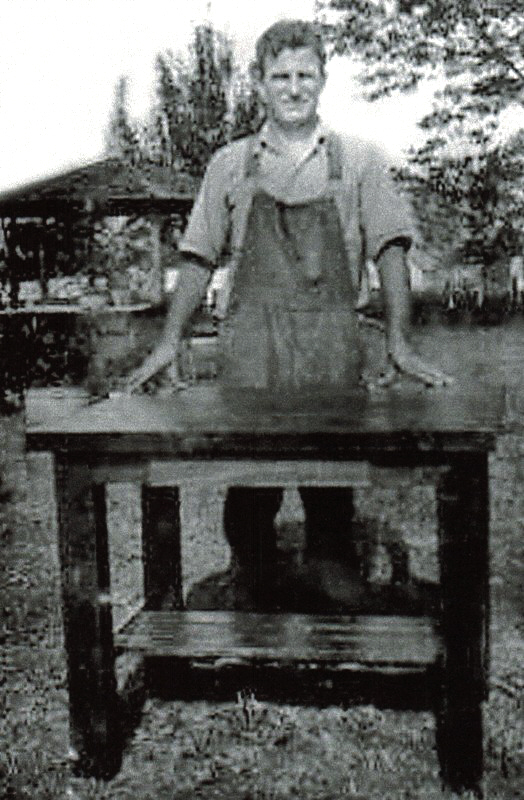 I hadn’t really given much thought to the type of work my grandfather did for the railroad, but when I saw the picture of the table Grandpa built, I was reminded of an dependent card my dad had that said the his dad was a carpenter for the railroad. 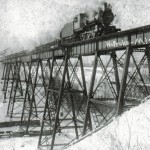 Having been a passenger on the 1880 Train in Hill City, South Dakota, I have seen the work of the railroad carpenters. They have transformed those old train cars from junk to a thing of beauty. The carpenters who work on the 1880 Train have done just that. Still, of all these people, I have to say that the ones who have perfected the art of carpentry the most, would be the Fredrick family…and I’m sure you will agree with me on that one.